There’s a whole new meaning to spicing up your meal in Connecticut. Whether you dine in West Hartford, New Haven or New Canaan, International Chef Prasad Chrinomula of Five Star Restaurant Group, (Thali, Thali Too, Oaxaca, INDIA New Canaan) dishes up a whole new meaning to savoring great, healthy Indian food locally across the Nutmeg state at his restaurant locations. 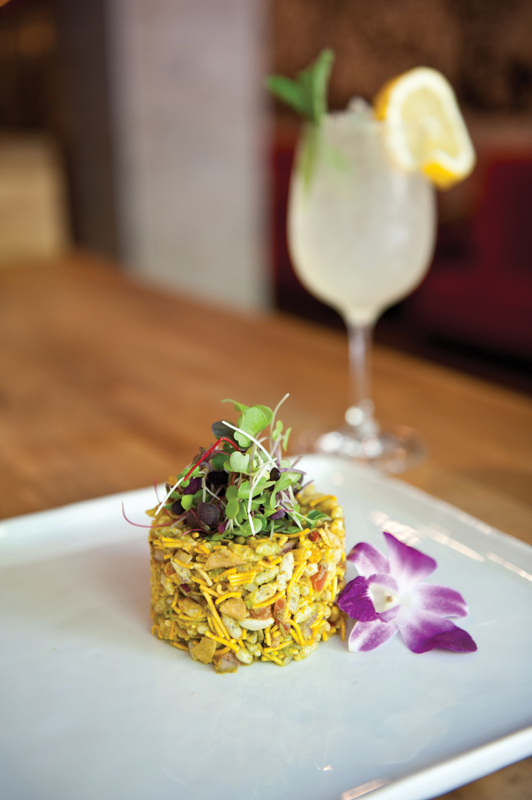 INDIA, his newest restaurant which opened in December 2016 in West Hartford Center, boasts a menu with exclusive recipes delivering health benefits while complementing its exceptional fare. Guests can experience locally sourced, Farm to Table dishes with British Colonial overtones. Take Chef Prasad’s Shrimp Moilee recipe, for example. Several ingredients provide a host of benefits. The black mustard seeds are generally rich in minerals and a good source of anti-oxidants, the ginger helps relieve the common cold, heartburn and upset stomachs, and turmeric helps prevent Alzheimer’s Disease and joint inflammation. 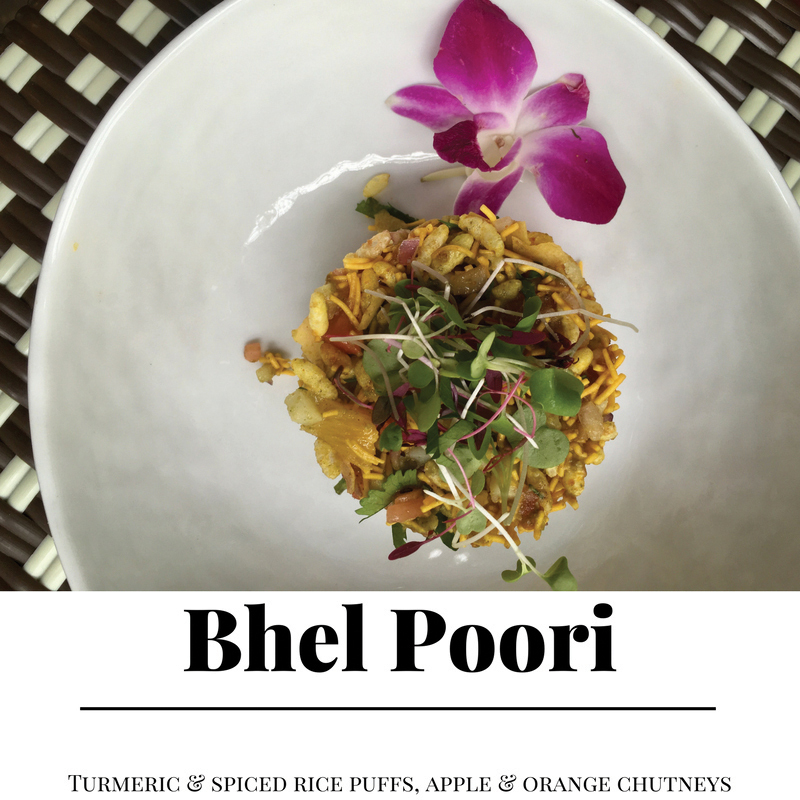 Another dish in Chef Prasad’s cuisine collection is Bhel Poori. This Indian street food style dish includes cilantro, which is said to help treat skin inflammation, high cholesterol, anemia, indigestion, blood sugar disorders and other physical ailments. Tamarind, another ingredient included in this popular dish, is said to help treat rheumatism, fevers, sore throat, sunstroke and other conditions. 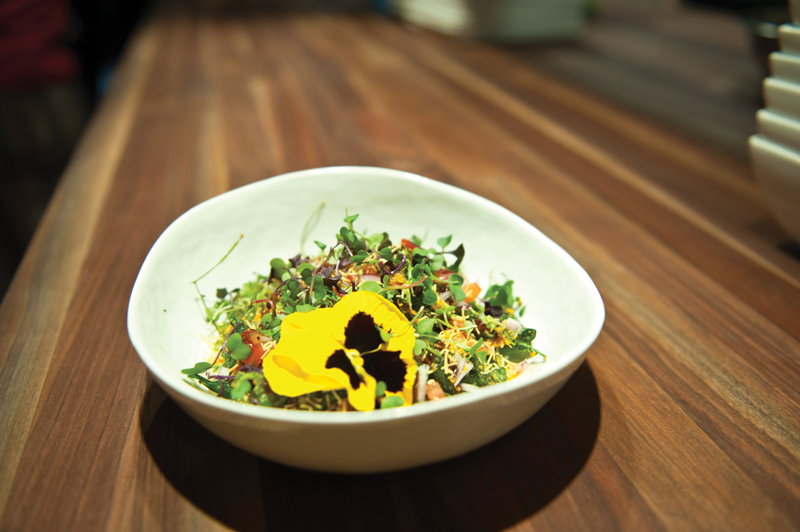 “It’s a ‘win-win’ with these dishes,” says Chef Prasad. 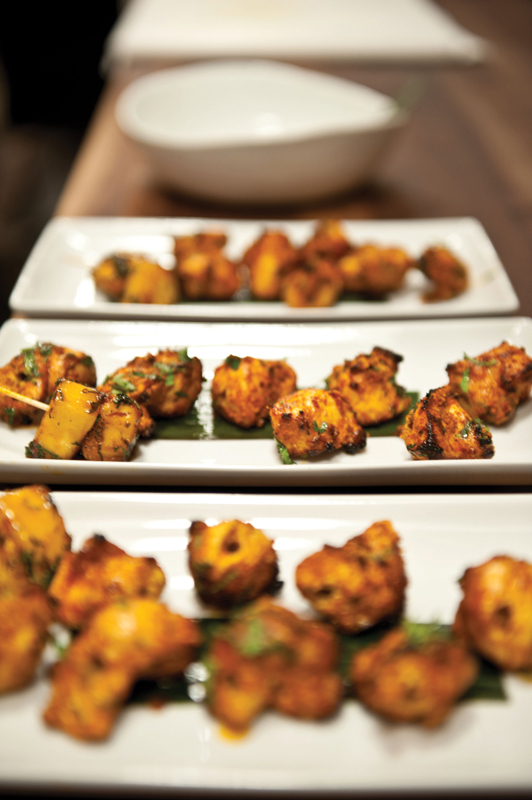 “The unique flavors combined with the health benefits puts INDIA and my other restaurants into a category of their own.” Other signature dishes on INDIA’s menu include the Chicken Tikka Masala, Vindaloo, Lamb Chops and their crispy baby kale (which also delivers a whole group of health benefits!) chaat drizzled with tamarind and date chutneys. 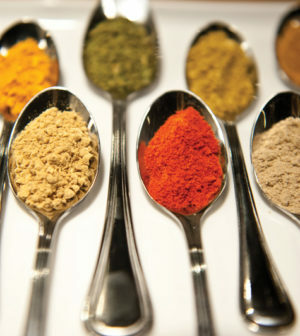 What other herbs and spices that are commonly used in Indian dishes are good for your health? Cinnamon, giving Indian dishes a refreshing taste and an aromatic smell, is said to be diabetes-friendly and insulin resistant. Cumin, which completes most Indian dishes, is said to alleviate digestion problems and causes of the common cold. Saffron, which adds color and spice to desserts and briyani, is said to have the ability to treat depression, improve memory, prevent the loss of vision and also serve as an anti-oxidant. Cloves are known to treat tooth problems and aid digestion. One of the strongest spices in Indian cooking is asafoetida. With its strong, pungent flavor, this spice changes the dynamic to any dish being served. It has been identified as a health benefit to help treat asthma, coughing and bronchitis. Impressing the restaurant industry for over 30 years, Chef Prasad was featured on the Food Network’s hit television show, “Chopped”, where he demonstrated his masterful culinary skillset to compete against some of the best chefs in the country. He was also acknowledged by the esteemed Rosengarten Report as “the most exciting Indian Chef in the United States”. He has defined a whole new niche for “Indian” fare and seeks for all of his locations to be “foodie” destinations with a healthy twist. Morgan Ferrarotti is a contributing writer for Eat IN Connecticut, a marketing and social media influencer group in Connecticut who thrives on telling the stories of great eats and drinks throughout the state. Morgan loves new culinary experiences and keeps a restaurant bucket list in Connecticut. In a mixing bowl mix all the ingredients and toss and serve like a salad or as appetizer. Serves four.